“It’s a moth”, I said helpfully. “They don’t bite”. I now know that the moth couldn’t have been biting the boy, because these particular moths don’t have mouth parts and only live long enough to mate and lay eggs. Its tarsal claws were probably digging into the boy’s skin and might have felt like jaws. Luckily it wasn’t one of the blood-sucking moths of the genus Calyptra. No kidding, there really are several moth species in Asia and Russia which are known to pierce the skin of mammals with a modified proboscis and then feed on the bleeding fluid. Relax folks, they don’t occur in Australia. Fear of insects is not unusual. The surrealist painter Salvador Dali had a pathological fear of insects and they, particularly ants and grasshoppers, featured in many of his better known paintings. The mere sight of an ant in his bedroom could render him a gibbering wreck unable to sleep for several nights. What does science say about these sort of reactions? My massive Dictionary of Entomology describes the condition of entomophobia as “a persistent and irrational fear of insects”. You may think that is extreme or unusual, but I don’t. I have had emails from people insisting they have insects living under their skin. This is a specific psychological disorder known as delusional parasitosis. Those wanting to learn more about the psychology of entomophobia and other disorders should read The Infested Mind by Jeffrey A. Lockwood. I assume most people who fear insects do so because they think the insects might be pests, but anyone who reads my stuff will know that not all insects are pests. In fact less than 1% of insects are considered to be pests. 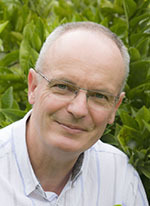 Even when insect pests do arrive they may not actually cause significant damage. Every few years or so where I live in the Grampians we get swarms of Rutherglen bugs (Nysius vinitor), a sap-sucking native insect found all over Australia. Adult Rutherglen bugs (below) swarm sporadically in warm weather when native grasses and weeds dry off and they descend on orchards, crops and gardens. People often notice them first in their native gardens and assume they are attacking the plants. 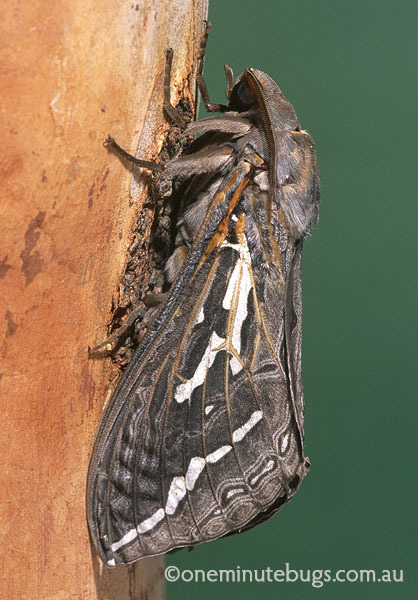 Swarming bugs are usually only looking for mates and a feed of nectar and do little damage to most plants. 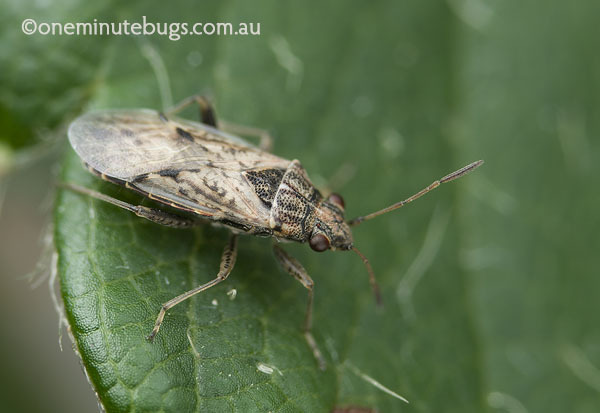 However, Rutherglen bugs can be serious pests of oilseed crops (including sunflowers) and vegetables, but the good news is that swarms usually don’t occur every year. The primary source of Rutherglen bugs is weeds; in fact many pests and diseases are harboured by weeds. Controlling weeds should be part of any pest management system. The key to all this is knowledge. Monitoring for insects and diseases is all well and good, but you need to know what you are looking at. Over a decade ago I was standing in a potato crop talking to a farmer who asked me, “What are these little flies on the potato plants?” The ‘flies’ were actually winged aphids which could have been transmitting a potato virus that was of concern to the potato industry at the time. Needless to say the grower took action against the aphids once he was informed. 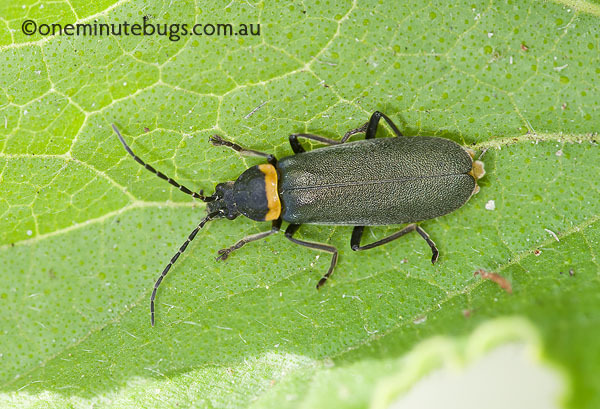 The plague soldier beetle (Chauliognathus lugubris) – below – is a native insect of southern Australia which cops a bit of unnecessary flak. Just look at the common name – plague soldier beetle. The plague here refers to the way these beetles form large mating swarms. They are attracted to most flowering plants but the worst they do is break a few twigs under the weight of their swarms. In my book Garden Pests, Diseases and Good Bugs I included this insect in the Good Bug section. Why? Adult soldier beetles are predators of the eggs and larvae of eucalyptus leaf beetles (Paropsisterna spp., and Paropsis spp.). Eucalyptus leaf beetles and their larvae can severely damage young eucalypts – so a plague on them then! 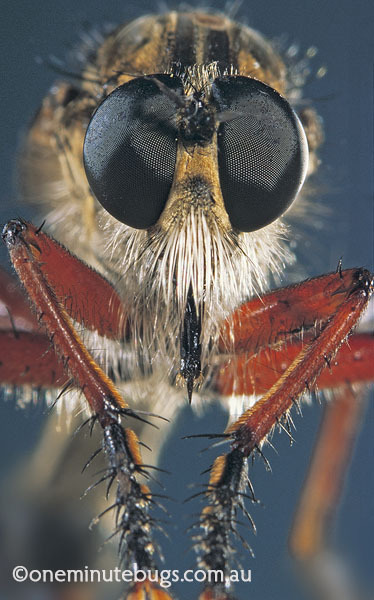 This entry was posted in entomophobia, pest, sting and tagged plague soldier beetle, robber fly, swarming bugs by denisjc. Bookmark the permalink. I enjoyed that read at breakfast. Loved the robber fly story. The photo is sensational.